Happy Friday everyone! Hope you all had a great week! My week was nice and quiet, which is perfect by me! Don't forget that I have an amazing GIVEAWAY going on right now!!! It is over tonight at midnight, so if you haven't entered yet, you can head to the original post RIGHT HERE for all the details for your chance to win! 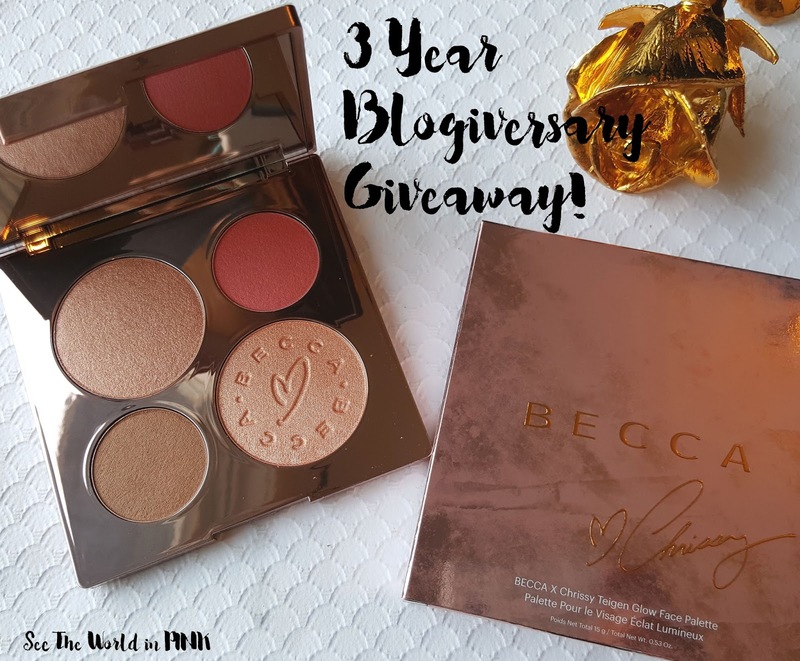 Two weeks ago I celebrated my 3 year blogiversary and as a thank you to everyone, I am giving everyone the chance to win this amazing, new, limited edition palette - Becca x Chrissy Teigen Glow Face Palette! Good luck!! On the 23rd, Elliott turned 1 month old!!! Holy moly - I can't believe where the time has gone! This little monkey is growing and changing so quickly! It's hard to believe! The first month has been so challenging and rewarding all at the same time! The lack of sleep has been the hardest part of the first month, but it has been improving all month and that's all I can ask for! 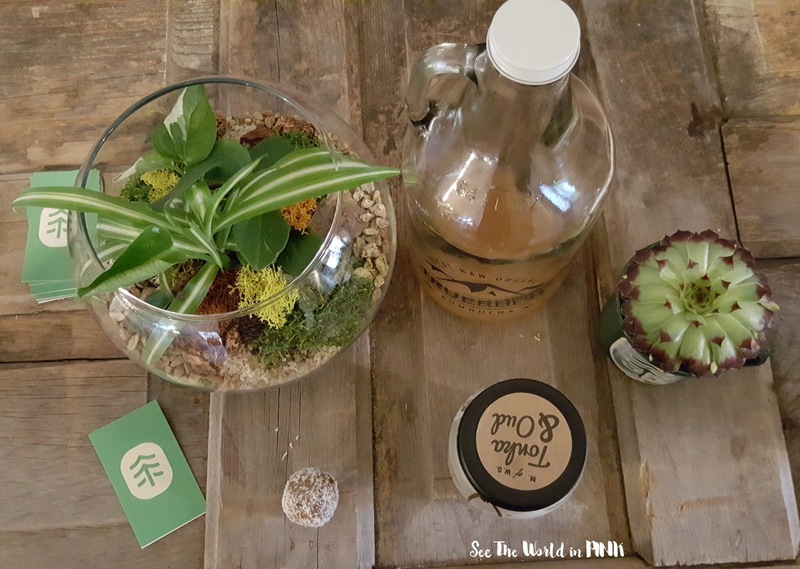 This week was my first outing of the house without Elliott and I went to the YYC Blogger Babes meetup! It was so cute, we got together in a treehouse (an indoor treehouse) and chatted all things blogging and social media growth! I don't know a lot of people who blog so it is so fun to get together with a group of people who share your hobby! 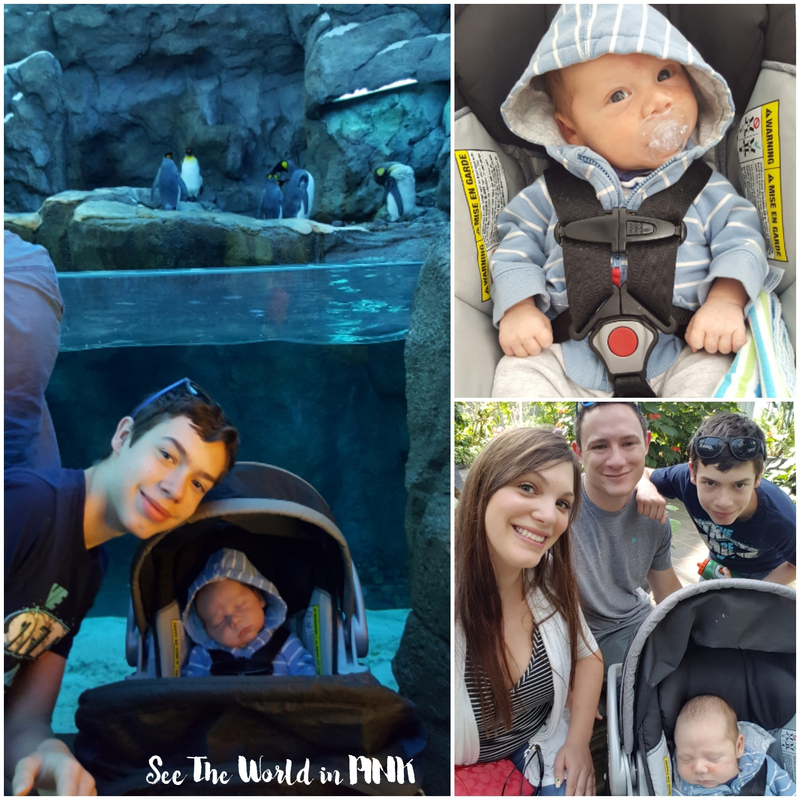 This past weekend was the May Long Weekend here and we took Elliott for his first big day outing! We went to the Calgary Zoo (which is a pretty normal outing for us - we usually go here a few times a year!) Elliott was so good and actually just slept pretty much the whole time! The rest of the long weekend was very relaxed - it was beautiful weather and I enjoyed going out for a walk around our community or sitting outside in the backyard and enjoy a beer! Also, the long weekend in May is usual the weekend that you can prep your garden and get outside in Calgary - the rule is always to wait until after the long weekend to plant anything! We didn't quite get all our prep done, but it's okay because after the beautiful weather, there was a big storm here with lots of wind and rain (and snow in some areas of Calgary) so I would have been worried about my garden! It is on my to-do list for next week! 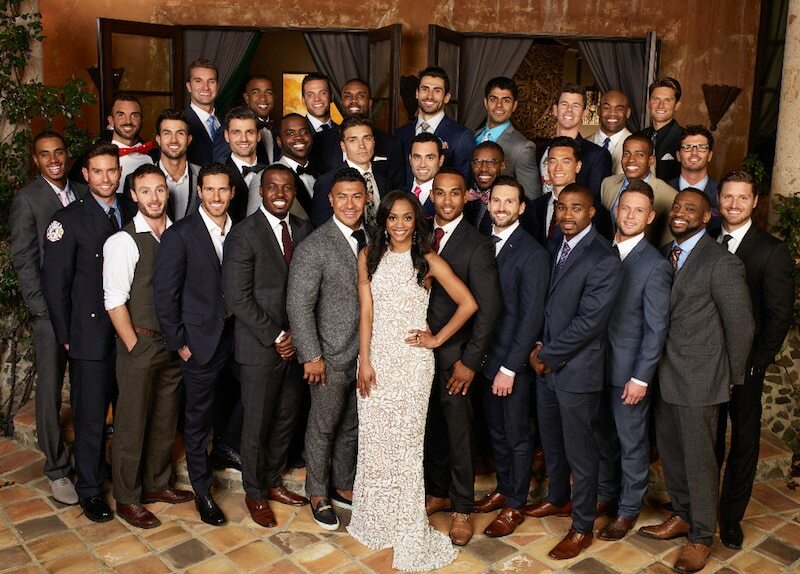 This week, Rachel's season of The Bachelorette started! I really like here, I think she is super cute and seems pretty normal. So why did they give her a group of duds to pick from?! There is quite a few really young guys (she is 31, why does she want someone in there early 20s?) Ugh, also there was waboom, a guy who talks about his amazing testosterone levels, a guy with 575 pairs of shoes, and a guy who tried to eat her face while kissing her.... Hopefully there is some good ones in the group but I'm not convinced right now! Survivor finished this week! 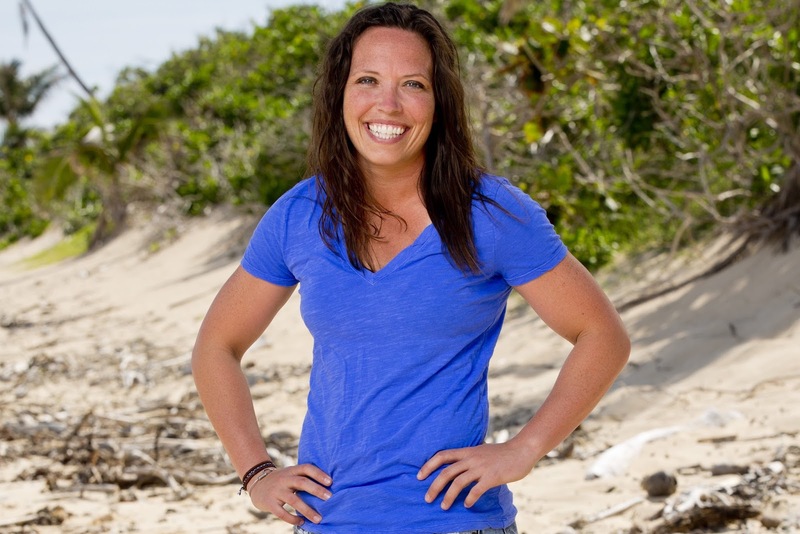 I was so happy that Officer Sarah won! I thought she played so well and was really good to watch! I don't always love when they bring back old players, but this was probably on of the best seasons to watch - everyone was so good to watch! Did you guys watch the Season 7 trailer of Game of Thrones?! Watch it HERE! This season starts on July 16 and I can't wait! We have been waiting forever and this season looks really good!